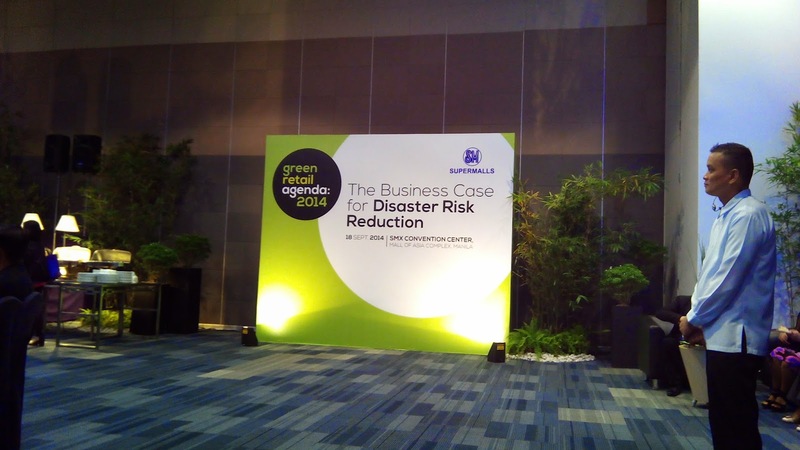 The Green Retail Agenda aims to address the lack of awareness on the relationship between business investment practices and disaster risks. SMPHI President Hans Sy underscored the need for businesses to understand that the growing environmental problem is relevant not just for the business community but for the economy as a whole. "Trillions of dollars of new investments will pour into hazard-exposed regions. In most economies, the private sector is responsible for 70-85% of these new investments," said Sy. "Therefore the decisions made by the private sector have far-reaching consequences on disaster risk accumulation and on underlying risk drivers." Speakers at the Green Retail Agenda symposium include Dr. Renato Solidum Jr., director of PHILVOCS; Dr. Alfredo Mahar Lagmay, director of Project NOAH; Atom Araullo, TV host and reporter of ABS-CBN; Nathaniel Cruz, former director of PAGASA; Sharon Almanza, deputy national treasurer of Department of Finance; Vince Rapisura, president and CEO of SEDPI Inc., ; Ramon Isberto, public affairs head of Smart Communications; and Lesley Cordero, usec at Office of the Presidential Adviser for Rehabilitation and Recovery. Mexican Ambassador to the Philippines Julio Camarena-Villasenor keynoted the event and shared how Mexico's proactive approach on disasters have garnered deep rooted resilience of its people.